Spider veins mar your skin and no longer function well. If you’re one of the 64 million women and men in the U.S. with a cosmetic vein problem, Dr. Amit Chitalia helps with sclerotherapy. 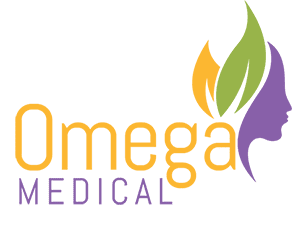 At Omega Medical in Florham Park, New Jersey, expert cosmetic physician Dr. Chitalia administers this fast, simple, injectable treatment to permanently remove unwanted, damaged veins. To say goodbye to your spider veins once and for all, call the friendly team at Omega Medical or use the online booking form. Spider veins, sometimes called telangiectasias, are damaged capillaries. Spider veins and other damaged blood vessels, such as varicose veins, are the result of weakened vessel valves. The constant pressure of your blood on the valves can wear them down over time, so they no longer push your blood forward. Instead, the blood pools behind the valve or even flows backward, causing the veins to bulge and twist. Spider veins most often appear on your face around the nasal area and on your legs. Spider veins are a cosmetic problem and aren’t dangerous. However, since spider veins tend to develop with increasing age, they make your face and legs look older and less healthy than you probably feel. Large varicose veins may cause complications. If you have spider veins or varicose veins, Dr. Chitalia evaluates them during a consultation and makes recommendations for treatment. How do doctors treat spider veins and other broken blood vessels? Dr. Chitalia removes spider veins permanently with simple, safe sclerotherapy. He injects your damaged veins with a special liquid or foam that prevents the vessel from absorbing protein, so it collapses and withers. Your body then re-absorbs the vein. Don’t I need spider veins? Damaged veins, such as spider veins and varicose veins, no longer function well and are redundant. When you remove them, your circulatory system reroutes itself more efficiently. Is vein removal with sclerotherapy permanent? Once Dr. Chitalia removes your unwanted veins with sclerotherapy, they can’t grow back. However, you could develop spider veins elsewhere if you damage your blood vessels. Dr. Chitalia uses state-of-the-art sclerotherapy formulations, including those containing the anesthetic polidocanol. Today’s sclerotherapy takes only a few minutes and is virtually pain-free. To permanently eliminate your spider veins with sclerotherapy, contact Dr. Chitalia by using the online booking form or scheduling an appointment with the warm and friendly Omega Medical staff.